If you have ever wanted to learn how to work with clay, this is the class for you. Alan Jones is a Phoenix icon. 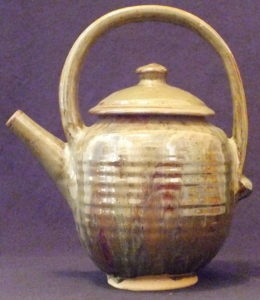 He has been a professional ceramic artist for decades, generously sharing his knowledge and skill through his teaching. In this class, you will start at the beginning by learning to control clay on the potter's wheel. Master a few of the basic shapes to get your pottery adventure going. Alan has developed a curriculum to build your skill level from week to week. Class projects will keep you focused on your goals! 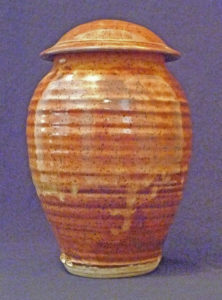 Although the class is geared towards beginning potters, all skill levels are welcome. If you have worked with clay but really want to take it to the next level, this is the class for you. Alan Jones is a Phoenix icon. 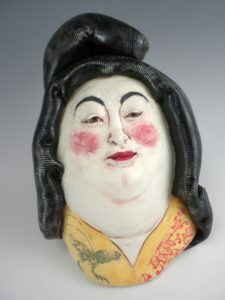 He has been a professional ceramic artist for decades, generously sharing his knowledge and skill through his teaching. 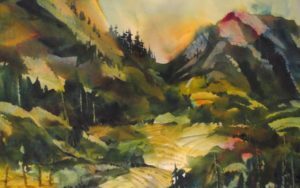 In this class, Alan will work with you to build your skill so that your work can truly be inspirational. Classes will focus on creating functional pieces that work well and look good doing it. Class projects lead you step by step to success! 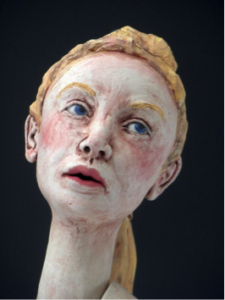 Although the class is intended for intermediate to advanced potters, all levels are welcome. 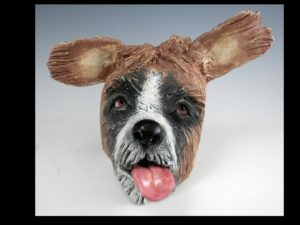 A $30 fee payable to the instructor on the first day of class will cover materials including clay and glazes. In this class, students will learn the basics of silkscreen printing. The traditional methods of using photo emulsion and cut stencils to create unique and exciting prints will be explored. Students will move on to discover how to work with brushed on color, as well as the process behind traditional color registration. Larry will demonstrate techniques as the class progresses. Students will also learn the process of creating intaglio prints. 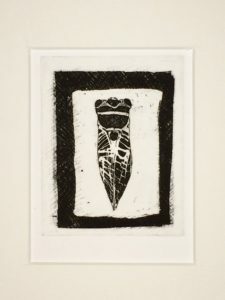 Common techniques include using both drypoint and the etching of copper plates. When printing their plates, students will also have an opportunity to learn about and use the etching presses. 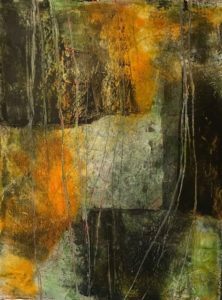 Note: These printmaking processes involve chemicals and harsh solvents. The instructor will take time to explain proper safety measures. 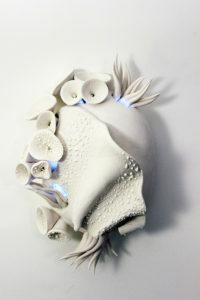 In this class, there will be an emphasis of handbuilding with clay with a focus on illuminated porcelain. This class will go over techniques used in foundational elements of handbuilding including pinch pots, coiling, slump/drape molds, press molds, and some slip casting. This class will lay a firm foundation in clay while exploring the special topic of translucency in porcelain. Thin porcelain slabs will be used to help encourage translucency, and experimenting will occur with a variety of porcelains and sculptural forms. Translucency can be a wonderful element to a sculptural forms, such as votives, vases, handbuilt bowls, or sculptural forms. Experimentation with LED lights will also be included. 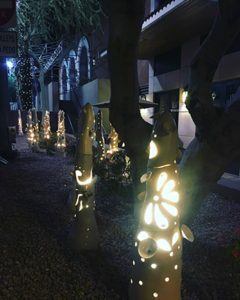 Students are encouraged to bring their creativity and willingness to explore the limitless territory of illumination in ceramics.Clay Request: *If clay is not requested it will be assumed that no clay is needed. 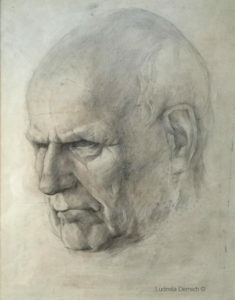 The focus of this class will be learning how to draw a portrait. Students will get familiar with concepts like: composition, structural approach, proportions of the head and position of the head. As well as building value, light and shadow and defining features of the face. Everything a student needs to know will be covered. Students will surprise friends, and themselves with their excellent results! This open studio is for students who wish to work independently in the areas of wheel-throwing and handbuilding ceramics. The open studio will be monitored by Alan Jones. A Phoenix icon, Alan has been a professional ceramic artist for decades, generously sharing his knowledge and skill through his teaching. Although students will be taking this open studio to work on independent projects, Alan will be there for guidance. This class will introduce students to handbuilding with an exploration into wheel throwing as well. The first three weeks of class will be focused on discussing various handbuilding techniques. 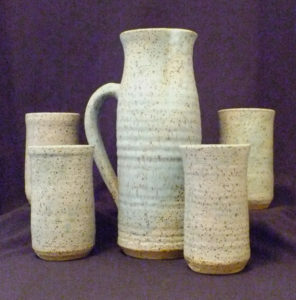 During the last three weeks there will be an emphasis on throwing techniques with a variety of forms including bowls, cups, handle making, vases, and plates. 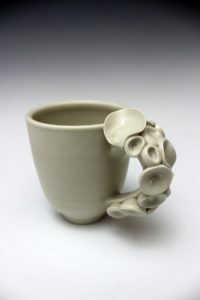 The handbuilding techniques will include pinch pots, coiling, slump/drape molds, press molds, and some slip casting. It is a great class to explore ceramics and the full range of the medium from sculptural to functional forms. Students should bring their creativity and their sketchbooks! 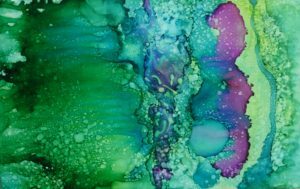 Have fun experimenting with the many techniques to be explored while working with alcohol ink! 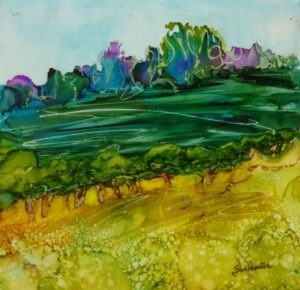 Alcohol ink on Yupo paper produces brilliant colors, unexpected results and unlimited possibilities. Get ready to loosen up and let this medium take flight! Witness how the inks work into magical shapes and forms by using tar gel and molding paste. 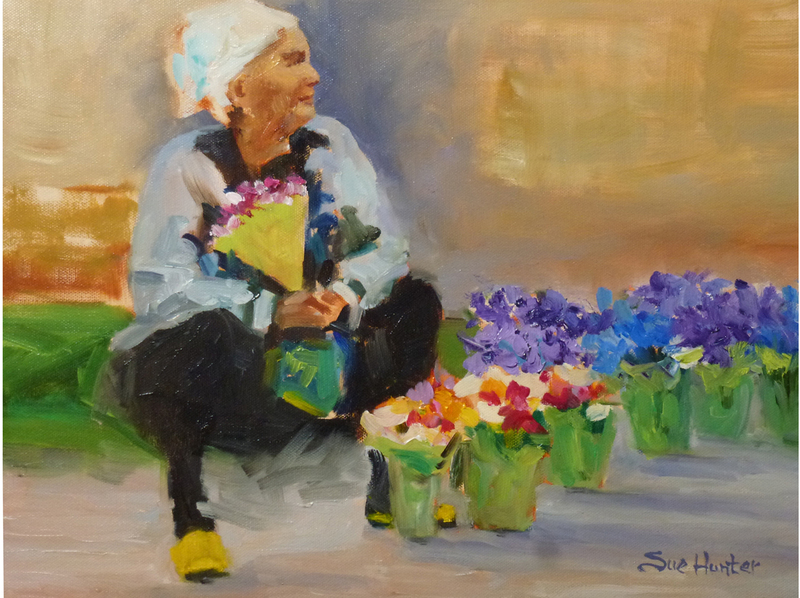 Each process will be demonstrated by the instructor, and samples of finished works shown. *Inks can stain clothing and hands. Please wear appropriate attire and bring latex or rubber gloves. In addition to the $20 materials fee to be paid directly to the instructor, students will be sent a short list of supplies that they will need to purchase and bring to class. 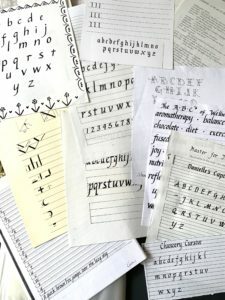 Learn the basics of Italic Calligraphy. The introductory workshop will be focused on the lower case letters of the italic alphabet using broad edged calligraphy markers. No experience is necessary, just the desire to improve your handwriting and take the first steps into the beautiful art of calligraphy. 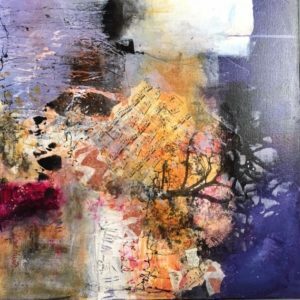 Linda Arandas is a mixed media artist from Scottsdale. Before transplanting to Arizona she was a long time member of the Pittsburgh Calligraphy Guild. She has studied under many calligraphy masters. May 4, 2019 | 10 a.m. - 1 p.m. | $55, plus a $10 materials fee payable directly to the instructor on the first day of class. 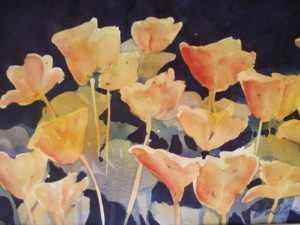 The watercolor painting open studio is for students who wish to work on individual projects, with guidance from the instructor. Students will take their current explorations further and experiment in new ways. 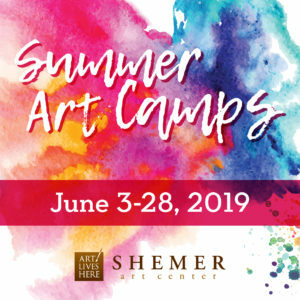 Students may work from photographs, still life or en plein air on the beautiful grounds of the Shemer Art Center. Some supplies will be provided, but students are encouraged to bring basic watercolor painting supplies, such as watercolors, brushes, a palette, and paper. Thursdays | 9:30- 12:30 p.m. The Prickly Pear cactus is one of the most iconic plants of the American deserts. 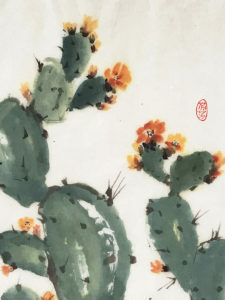 It’s unique growth habit and contrast of delicate blooms and prickly pads gives it an abundance of character, making it an excellent Asian Brush Painting subject. 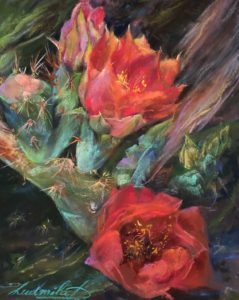 This workshop will focus on the Prickly Pear (in bloom). Using traditional Asian Brush Painting materials you will be introduced to the fundamentals and principles of the art form. With your new knowledge you will have the opportunity to experiment and create your personal images of the Prickly Pear. You will also experience the power of being “mindful” as your work becomes a visual reflection of your unique ch’i (energy, spirit) in a moment of time, which cannot be repeated. Asian Brush Painting is a great way to practice some of the basics of mind, art and meditation in a visual form. Experience this unique art form for the first time or hone your skills from our previous brush painting workshops. Note: You will be working with black ink and colors that do not wash out. Please dress accordingly. 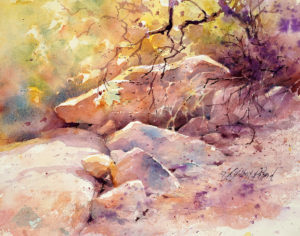 About the instructor: Martha began brush painting over 25 years ago. 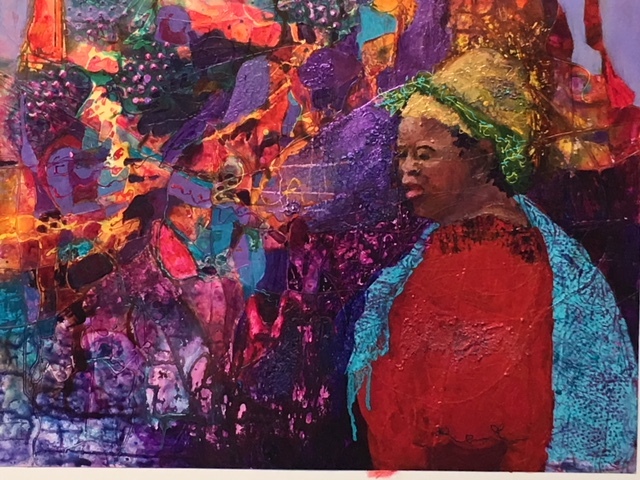 She has had the opportunity to study under several brush painters of distinction in various parts of the US as well as China. 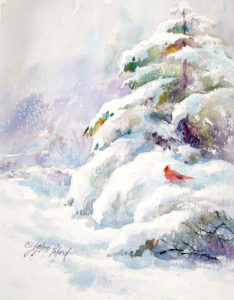 Her work has been sold internationally by several publishers as posters, framed images, and greeting cards. Saturday May 11, 2019 | 10 a.m. - 2 p.m. | $70, plus a $20 materials fee payable directly to the instructor on the first day of class. 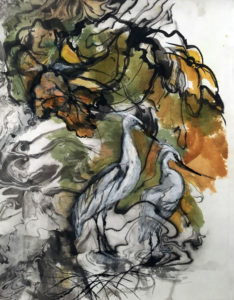 This fun and enlightening workshop focuses on Experimental Chinese Marbling and Watercolor Painting Techniques. 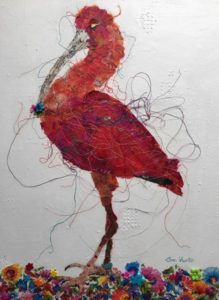 Collage pieces that have been made by painting rice paper will be incorporated. Students will have fun working loosely, while using their newly learned skills to create artwork without any preplanning! Students will see a one-of-a kind piece of art evolve before their eyes when they dip rice paper in water and ink. They will also learn how to master rice paper marbling using just Sumi ink. After the marbleized pieces dry, students will begin to see images and abstract areas that can be painted on with watercolor and acrylic. $70, plus $10 materials fee paid to the instructors on first day. Zentangles are miniature pieces of unplanned, abstract art, created through a very specific method, to form structured patterns. 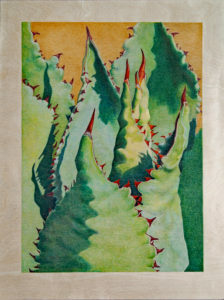 In this workshop students will be using templates to trace cacti designs. They will then fill the cacti pictures in using the method of Zentangle. As an added step, they will be applying colored pencil to their designs. Students will be amazed as beautiful patterns emerge and colored pencils help them add dimension and vibrancy to their artwork! No materials are required and there is no materials fee. Students are encouraged to bring their own colored pencils if they have them available. Everyone can learn to draw and this class will get you started. Drawing requires learning how to observe correctly and record what you see. 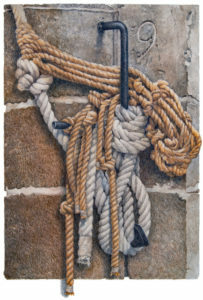 Students will learn the essentials of proportion, line, shading, perspective and composition, and use basic drawing techniques to create realistic pencil drawings of still life, landscapes and more, with natural and man made textures and subjects. 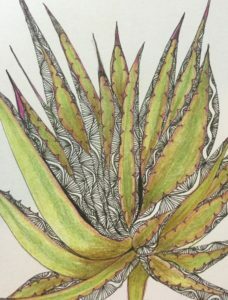 Learning to draw accurately will provide you with an excellent foundation for additional drawing, colored pencil, painting and other art classes. Returning students will continue learning and refining techniques, try new subjects and textures or surfaces. Come to work on a current project or start a new idea. Have fun! 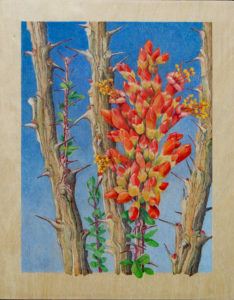 In this class students will utilize a wood panel as a unique surface for creating Colored Pencil art. Each panel of wood possesses its own personality that offers interesting patterns in the grain that will stimulate creativity. Plants and flowers, trees, autumn leaves, seed pods or interesting designs can be blended into the surface patterns. With examples and demonstrations Elliott will, share his knowledge of materials, surface preparation, and techniques for applying colored pencil to wood. 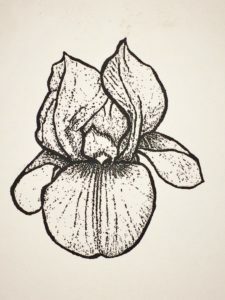 Prepared projects and line drawings, as well as a variety of reference photos will be provided for participants to use in creating their own finished piece. Students are encouraged to bring photos that would be interesting to work with. When choosing a photo, students should think about using a subject that would be at home around, on or of wood. 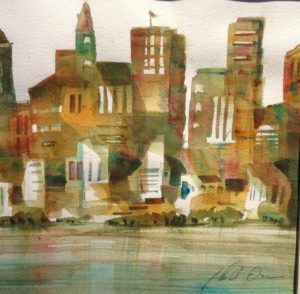 Join Elliott Everson in an open studio setting. New and returning students continue learning and refining drawing techniques, try new subjects and learn to use new textures or surfaces. Come to work on a current project or start a new idea. Elliott will provide one-on-one or group instruction depending on the needs of the students. This is a tremendous opportunity to push your drawing skills to a new level in an open setting. Use colored pencils or graphite. Open to all Levels. Have fun!